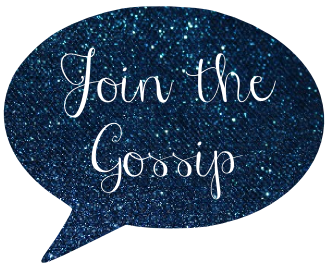 Join The Gossip: Heading Up to San Fran! If you haven't already, be sure to enter my latest giveaway to win a Pretty Little Liars Season 1 DVD. The show returns, Monday, January 2 and this DVD would be the perfect way to catch up! Next week I'm heading to San Francisco and starting to get pumped! I'm going on a trip with my parents (who have somehow never been to the glorious city by the sea!) and plan on doing lots of sightseeing. Yup, that's how I roll. I love to take in as much as possible any time I go on a trip. Some people relax on vacation - not me. A minute of downtime is a minute wasted in my eyes. While I'm away I have a few bloggers set to fill in for me Tuesday through Friday. Meghan of Little Girl in the Big World Tuesday, Christianna of The Girl With the Blue Bow (fittingly) Wednesday, Amber of Glitter and Dirt Thursday, and Krystal of Krystal's Kitsch Friday. Be sure to stop by next week and say hello to these bloggers! That leads me to this week''s What the Hell Wednesday. What the hell is with the blogging community? And I mean that in a GOOD way! It's incredible how outgoing, friendly, and genuine you all are. I've met so many people via the blogosphere. It blows me away! I love how relationships can be made with people miles, and continents, away! 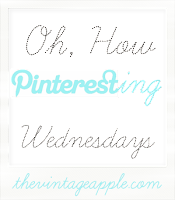 Are you having a What the Hell Wednesday moment? Be it good or bad, link up with my pal Christianna of The Girl With the Blue Bow and get those feelings out! Today I'm also linking up with The Vintage Apple for Oh How Pinteresting Wednesday! Aww, this sounds so amazing! I would love to visit SanFran one day! Can´t wait to see all your pictures! Beautiful pins! Have a great time in San Fran! Sounds like you have a lot of great things in store! Can't wait to hear about it! gorgeous pics, and enjoy san fran. such a gorgeous city (and love its china town... mmm, dim sum!). I’m exactly like you. I never relax on vacation. I do it when I get home for a day or two! Have fun. I love San Francisco!!! Oooh, have a blast! San Francisco is so fun and pretty! Have a blasty blast on San Fran? When are you coming through? You taking the 101? Bloggers really are the best! People who don't blog are missing out, that's all I can say! Thanks so much for linking up again! san franciso looks so fun. I like to relax only when im at the beach, but if im in a city i like to constantly being doing things as well. Have fun! I have always wanted to go to SanFran! I hope your trip is all kinds of awesome. Eeeeeek--cannot wait to see you again!!! And at another awesome restaurant. :) I'm baffled that your parents have never been to SF. That is one for "what the hell Wednesday"--ha! And omg that first SF picture/print/map! I looooove it and want it framed in my house! Have a great trip!! I absolutely love SF and cannot wait to move there at the end of the month! Aww I love San Fran :) So jealous! Have a great trip! Have fun! One of my favorite cities (grew up around there)! So jealous! I'm dying to plan a San Fran/Napa trip! I love to see as much as possible while I'm away too, especially when it's a new place. I hope you and your parents have a great time! I'm sure dinner with Claire will be great too. I'm excited to hear all about your trip! The blogging community is very special because of people like you! You've become such a good friend to me and to think it all started with our blogs blows me away. I have always wanted to visit San Fransisco!! Someday I will! It looks amazing and so gorgeous! I LOVE San Francisco! Great shopping! You are going to LOVE San Fran. I did when I went there with my mom and sister a few years ago. Make sure you get clam chowder in a bread bowl at some point! And seeing Alcatraz is pretty cool. Have a great trip! Oh I love San Fran!!! Lucky you to be going to SFO! It sounds like you have everything all planned out. Have fun and say hi to Claire for me.